Beyond the catwalk: Meet the new generation of 'modelpreneurs'. Brazilian Gisele Bündchen topped this year's Forbes list of richest models, earning $42 million thanks to endorsement deals with H&M (pictured), Chanel, Pantene, and footwear company Grendene. Trailing behind Bundchen on the Forbes list was Australian model Miranda Kerr. Endorsement deals with Qantas, Mango, and her own line of beauty products, Kora Organics netted the model a reported $7.2million in just 12 months. Fellow Aussie Elle Macpherson was one of the original supermodels from the 1980s who helped herald a new era of model-turned-mogul. Today, the 49-year-old has endorsement deals with Revlon and her own line of lingerie and beauty products. The former Victoria's Secret model made a name -- and a fortune -- for herself as the "tough-love" host of reality TV show "America's Top Model," as well as her own program, the "Tyra Banks Show." Much like Bundchen and Kerr, German-born Heidi Klum was a Victoria's Secret model before launching her own line of clothing, beauty products, and jewelery. After a career in front of the camera, Danish supermodel Helena Christensen now works behind the lens, pictured here at a 2009 London exhibition of her work. Chirstensen's photographs have appeared in fashion magazines "Marie Claire" and "Elle." The 44-year-old also recently designed a line of bags for Belgium brand Kipling. American Kathy Ireland is one of the world's most successful models-turned-mogul. The now 50-year-old launched her own marketing company, called Kathy Ireland Worldwide, putting her name on everything from socks to fitness videos. You know you've made it when you're referred to by one name. 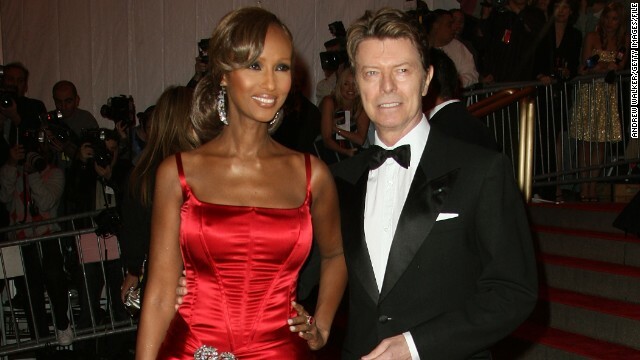 Somalian-born Iman (pictured here with British musician husband David Bowie) began her modeling career in the 1970s, in an era when black models in the U.S. were rare. In the 1990s she launched her own successful cosmetics range for women of color. Remember when supermodel Linda Evangelista said she didn't "wake up for less than $10,000 a day?" The provocative comment -- made in Vogue magazine in 1990 -- haunted the Canadian beauty for the rest of her career. But fast forward two decades and $10,000 now seems like a paltry figure in comparison with today's "modelpreneurs." How about rousing yourself from bed to the tune of $42 million a year? That's how much Brazilian Gisele Bündchen earned in 12 months, according to Forbes magazine's latest list of the world's richest models. If it seems impossible to earn that much money from sashaying down a catwalk alone, then that's because it is. Bündchen doesn't make her millions simply from modeling -- she makes them through lucrative endorsement deals with everyone from H&M to Chanel, and her own line of sandals with footwear company Grendene. Enter a new era of supermodel-turned-supermogul, where girls as young as 16 start carving brand names for themselves from the moment they hit the fashion runway. "If you look at the top models, they probably make 10% to 15% of their money from the catwalk -- the rest is really made from endorsements and brands," said Ryan Schinman, chief executive of Platinum Rye Entertainment, which represents corporations that partner with celebrities. "It used to be retired models who created their own brands. Now a lot of newer girls are thinking about it from the very start -- you don't need to be in the business for 10 years to build a name for yourself anymore." Schinman pointed to the rise of social media in helping young models build a global following. By using Instagram, Facebook, and Twitter they can reach out to the public with more ease than ever before -- and push their brand. Read: Guess Hollywood's highest-paid actress? But being attractive, young, and tech-savvy isn't always enough to catapult you to the top of the model rich list. There's also another factor: personality. "The ability to sell has nothing to do with your profession -- it's down to your popularity and likeability," said Schinman. He pointed to the phenomenal success of Gisele Bündchen, who this year tops the rich list for the seventh time. "She's a global phenomenon who's been able to transcend the industry," he said. "Now she's a mom, that's also opened her up to more categories of commercialism." "And the fact that she's married to American footballer Tom Brady means she also gets added coverage." Trailing behind Bündchen on the Forbes list is Australian Miranda Kerr on $7.2 million a year -- also a former Victoria's Secret model -- who today has deals with Qantas, Mango, and her own beauty products line, Kora Organics. In fact, eight of the top ten models in the Forbes list have worked for the Victoria's Secret lingerie label, a major name in the fashion industry which provides international exposure for its "Angels," as they're called. And as the price of hiring well-known actresses continues to rise, retailers are increasingly turning to models to sell their products. "Celebrities are becoming a lot less affordable," said Schinman. "Models are now in a very strong period commercially, more so than ever before." "The more you are believable to the brand you're representing the better -- a lot of it has to do with trust. A model is seen as someone who understands good design, fashion and accessories." In an industry where you can be seen as "over the hill" in your 30s, it pays to build a career off the catwalk. "It helps your longevity. It means when your looks start to fade you'll still have a lucrative career," said Schinman. For Bündchen and her fellow multimillion dollar "modelpreneurs," it seems they really are more than just pretty faces.